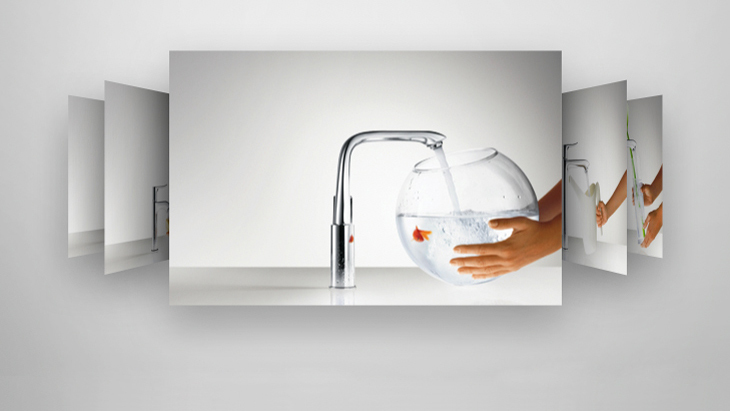 ComfortZone Finder: the practical tool for your consultations. 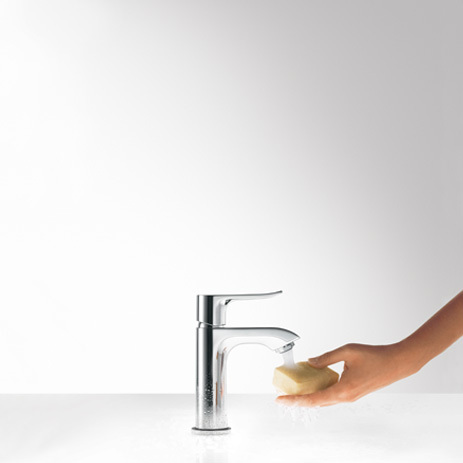 Select mixer height – and test out the options in the four product ranges Metris, Talis, Focus and Logis. 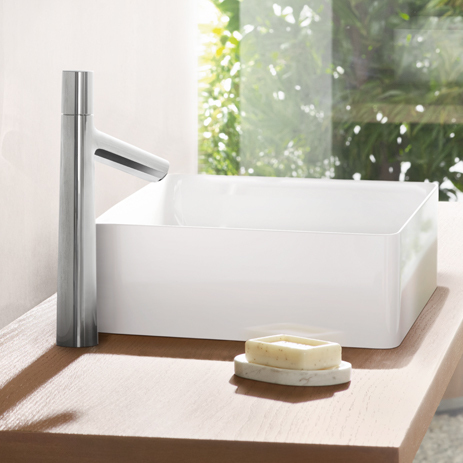 Hansgrohe mixers with the “ComfortZone” label offer exceptional ease of use around the wash basin or sink. 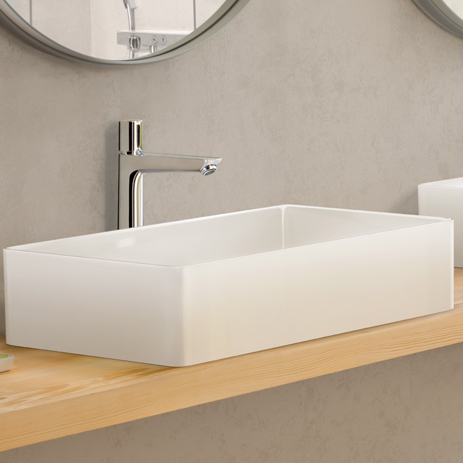 These models are of a generous size, their functionality is elaborate and their design outstanding. 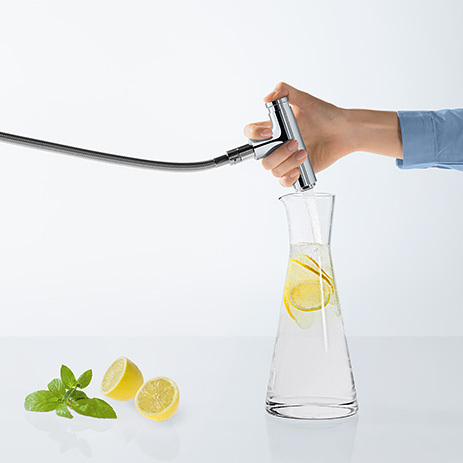 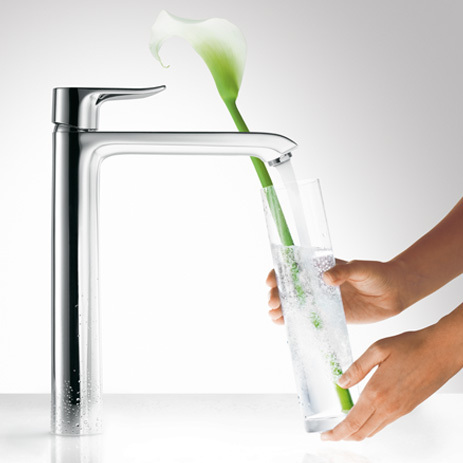 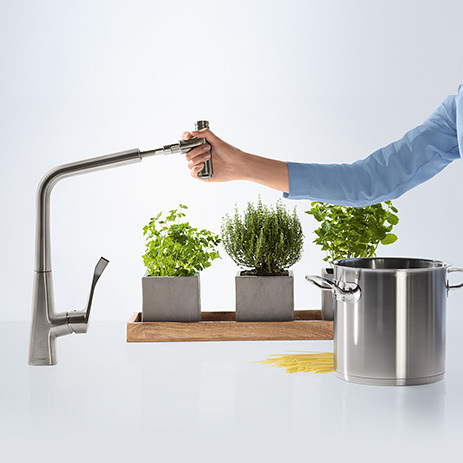 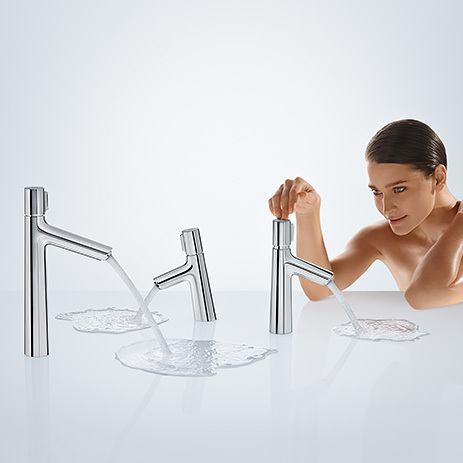 The Hansgrohe innovators and designers have done a great job with these. 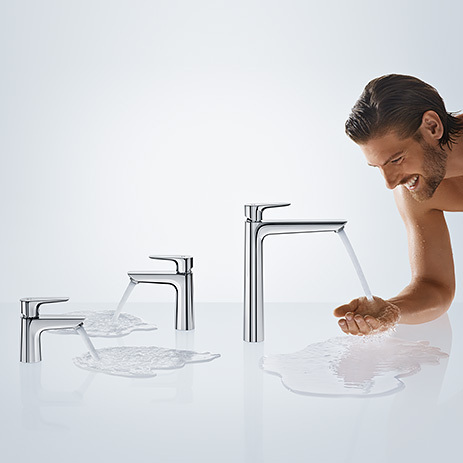 Show your customers the new level of spaciousness. 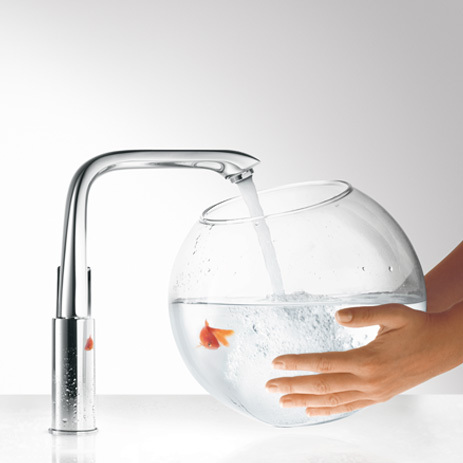 Give them more space! 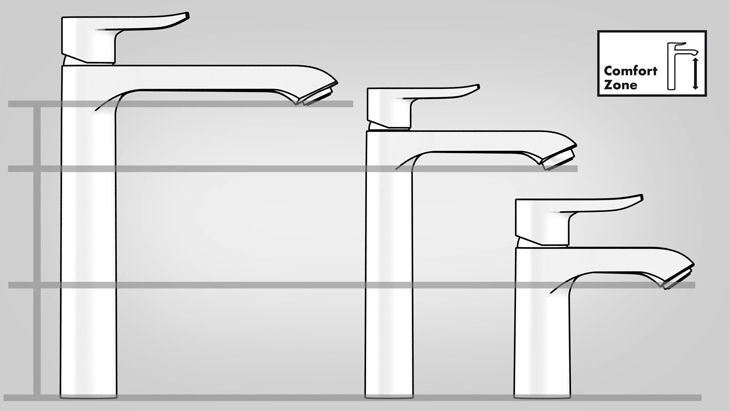 High, sometimes swivelling mixers for greater freedom of movement: for example, for washing hair at the wash basin or for filling up tall containers at the sink. 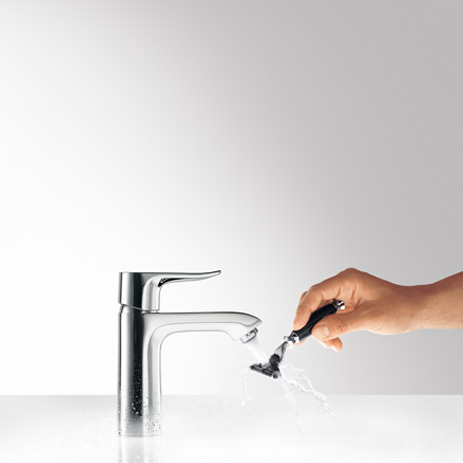 On counter top or built-in basins, wash bowls or hand basins: the Hansgrohe ComfortZone provides individual, tailor-made mixer solutions. 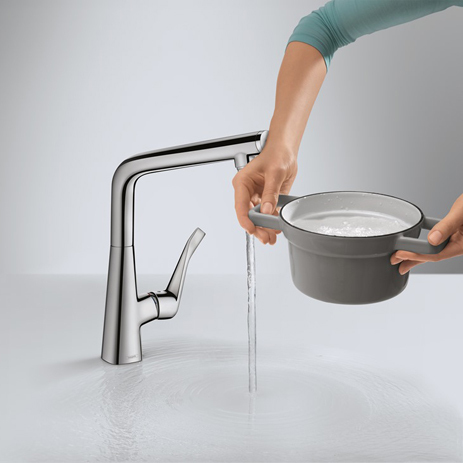 So you can recommend stylish, splash-free mixer and wash basin combinations to your customers. 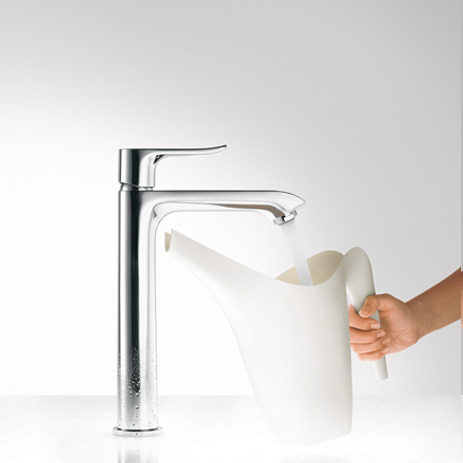 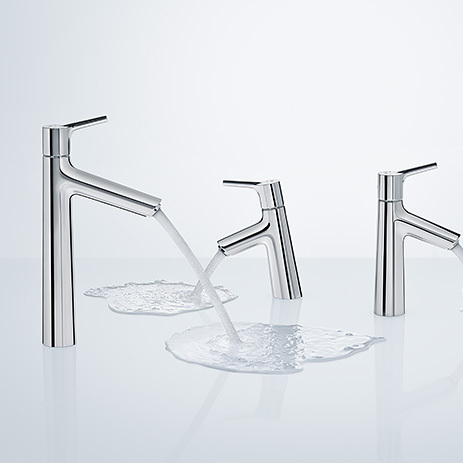 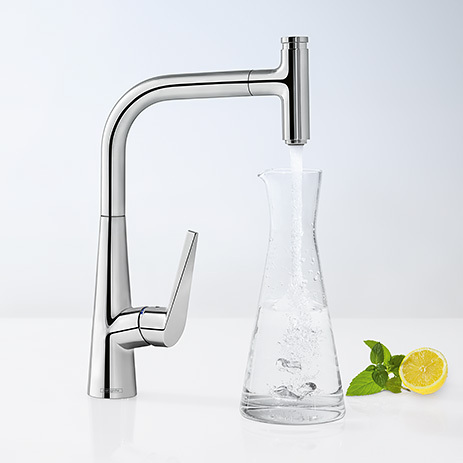 With basin mixers from Hansgrohe's Metris, Talis, Focus and Logis ranges (Modern style).